For decades, Oklahoma has led the nation in the rate at which it incarcerates women. Why? 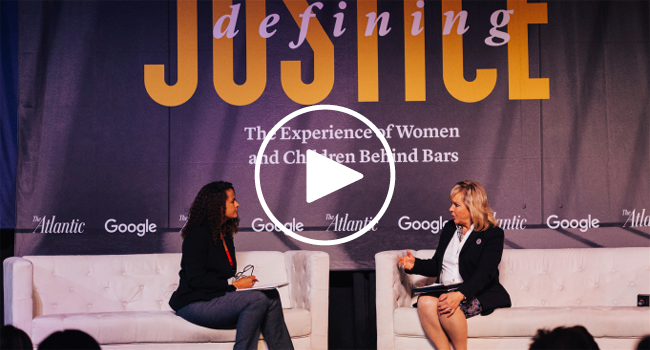 As the state grapples with an emerging political consensus around criminal justice reform, The Atlantic sought to understand the experiences of women affected by the state’s justice system. What are the underlying reasons — legal, political, social, emotional — behind their incarceration? What are the impacts on children, families, communities and the women themselves? And what might proposed reforms mean for women in particular? Defining Justice in Oklahoma City was developed in collaboration with Reveal from The Center for Investigative Reporting. This event was the first of a three-part Defining Justice series. To view photos from this event, please visit our Facebook page. * This session was produced by our underwriter and not by The Atlantic’s editorial team. In this event in the Defining Justice series, The Atlantic will seek out leaders from Capitol Hill and around the country to discuss the state of criminal justice reform across America. In particular, the event will consider how renewed federal debate on the issue might impact women and youth in the justice system. The Atlantic sought to unearth untold stories, bringing together people whose lives have been changed by incarceration with the advocates and entertainers who can give voice to them. *This speaker participated in a session that is produced by Google, and not by The Atlantic's editorial team.